The Steven Universe intro we deserve. 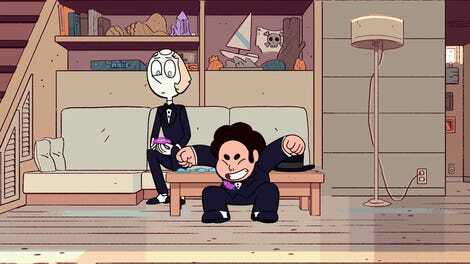 The core crew of Steven Universe keeps getting bigger. It’s time we got an intro to match. 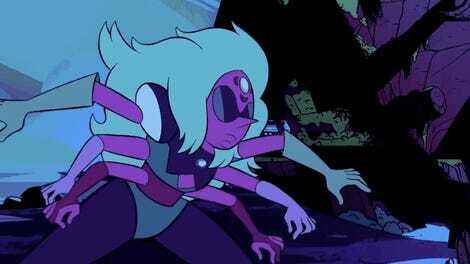 One of the most beautiful elements of Steven Universe is its focus on redemption—on its ability to turn enemies into allies, to showcase the Crystal Gems not just as a group of rebels but as a growing family of everyone who doesn’t fit the oppressive norms of the Gem Homeworld, who wants to live free on Earth and protect it. As such, an intro to the show just featuring the core handful of the cast doesn’t quite seem sufficient anymore, does it? The Crystal Gems have grown so much; they deserve an intro that matches. So The Roundtable made a new one. Created for MomoCon recently, this sequence takes the “We are the Crystal Gems” short and expands it, editing in visuals and highlights to bring in the entire extended gem family, including Lars, the off-color gems, Amethyst, Lapis, and even more. 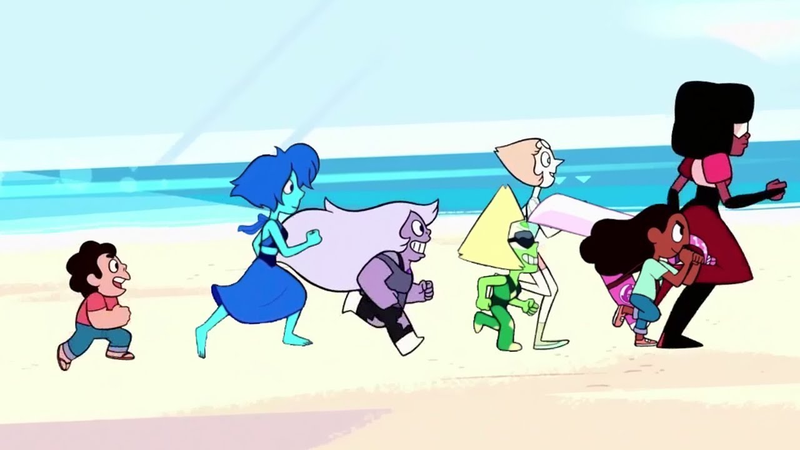 Most impressive, the edit includes a new version of the scene where the core cast runs across the beach, cut to add in more core members of the Gem team. It’s really beautiful work. Got me a little emotional, to be honest. It’s just—forgiveness is so beautiful, y’all. Sorry, sorry. I’m going to need a moment. You should probably just watch it.